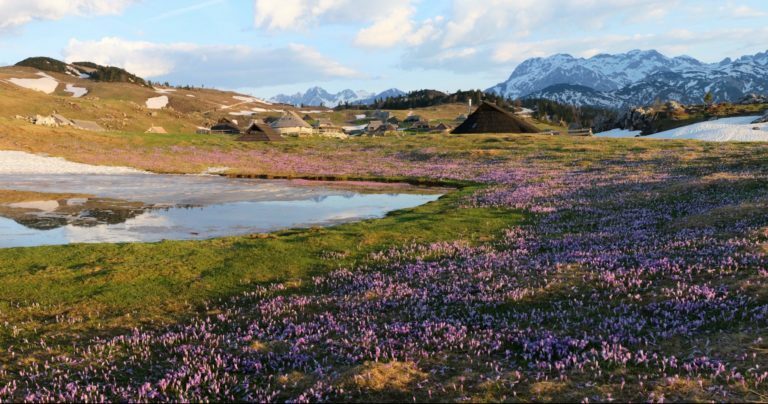 On the southern rim of the Kamnik-Savinja Alps, some thirty kilometers north of Slovenia’s boutique capital Ljubljana, lies a large Alpine plateau called Velika Planina. The place is known not only for its unique shepherds’ settlement, arguably the oldest in Europe that remains active to date, but also for organic milk goodies produced every summer. Locals and tourists alike visit it for its long hiking and biking trails, skiing and sledding in winter, good food and friendly people. 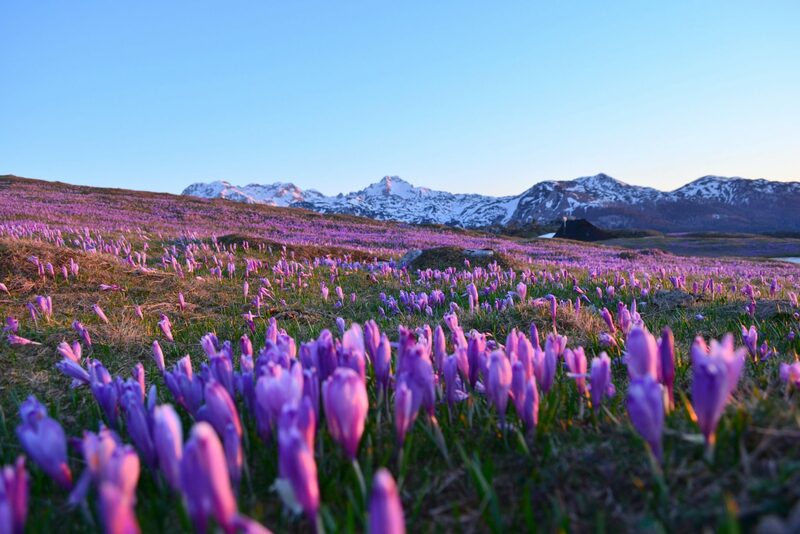 Every spring, though, something extraordinary happens: as the snow finally melts sometime in April, little crowns of crocuses flood the whole plateau turning a good part of the landscape purple. 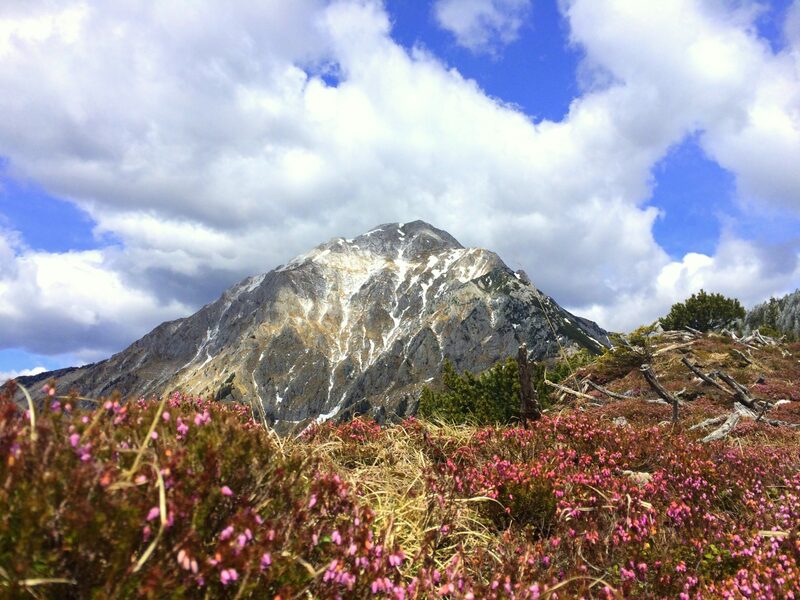 Somewhere far away from the city bustle, nested among towering mountain peaks, an enchanting green meadow stretches speckled with colorful flowers, and right in the middle of a green patch there is a friendly mountain hut. 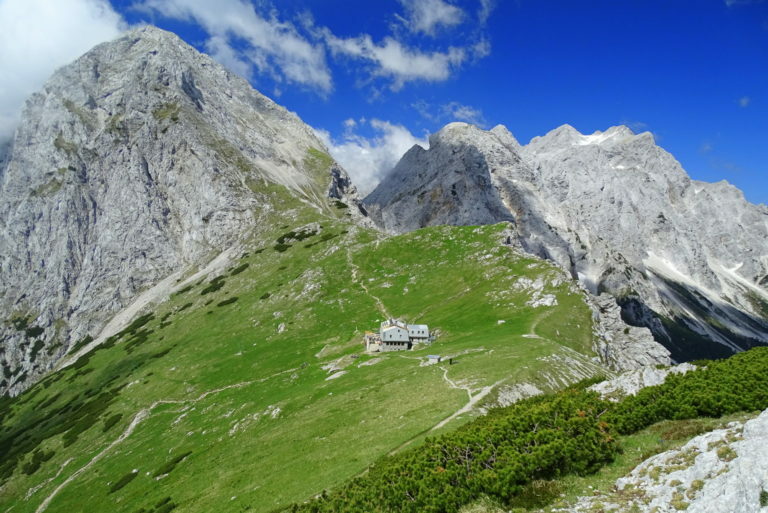 On its sunny terrace in totally relaxed vibes, a bunch of eager mountaineers share their bold climbing stories over barley porridge called ričet and cold beer while soaking in epic views of the Kamnik-Savinja Alps. That’s Kamniško Sedlo. 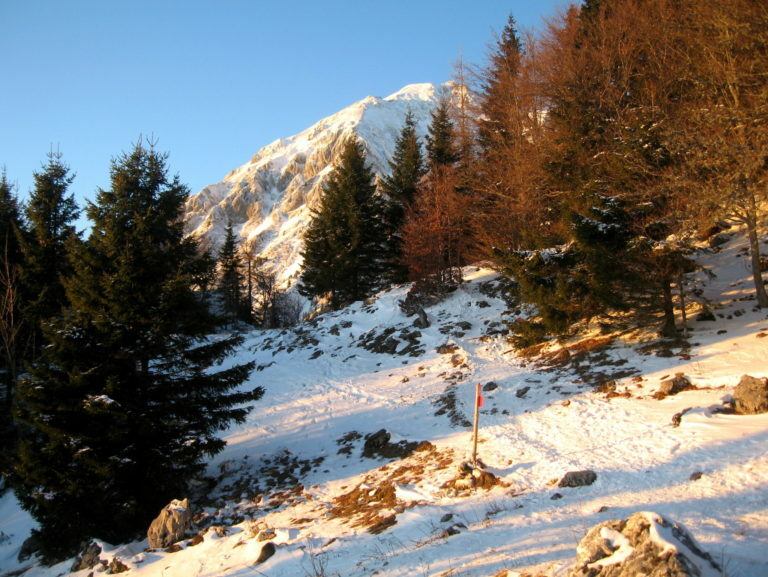 Both a demanding and picturesque mountain trail not too far from Ljubljana which you could actually squeeze into an average hectic workday? I’m talking about a 10-km trail with 1,144 m elevation gain (and drop) that’s technically easily accessible all year round and starts just 33 km from Slovenia’s capital. It’s called Bašeljski Vrh. I don’t know about you, but this is the most wonderful time of the year for me and my family. When the first snowflakes begin to fall, we all crowd by the window and watch how the snow slowly turns our little world into a white wonderland. Then, we all dress up like snowmen and hurry outside to do just another crazy thing. 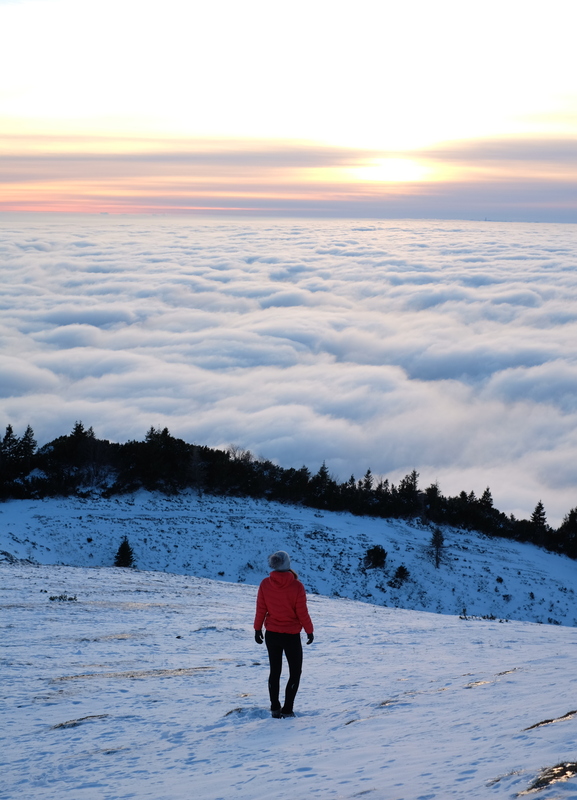 This time, it was sledding right from the top of Ljubljana’s favorite hiking destination, Šmarna gora. Let’s take a look. 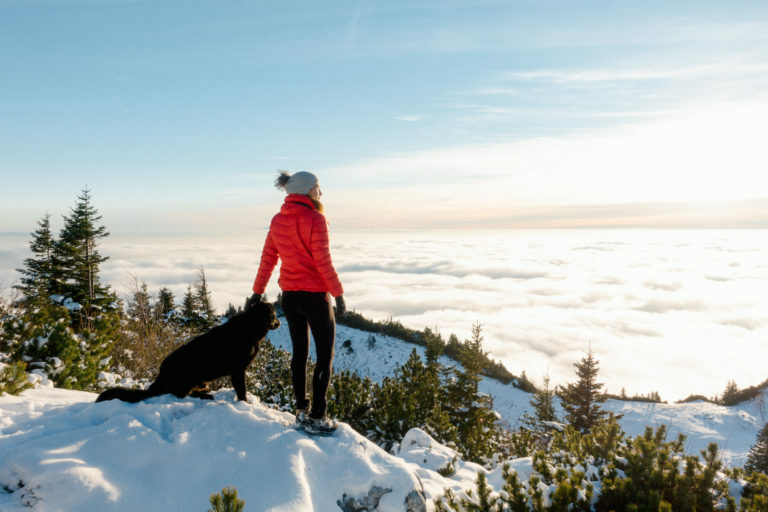 At 2,195 ft (669 m) and a little less than a 1,000 ft (303 m) elevation gain, it is a popular hiking destination for the locals and tourists visiting Slovenia’s capital. Šmarna gora (Smarna gora) seen from Stanezice.